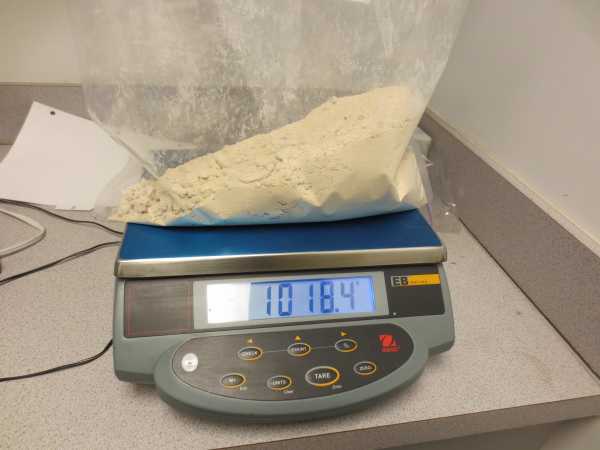 Calgary, Alberta – On Nov. 22, 2018 members of the Canada Border Services Agency (CBSA) intercepted a female arriving into Calgary International Airport who was smuggling heroin. A subsequent investigation by CBSA determined that she had swallowed numerous heroin pellets in efforts to avoid detection. Additionally, she was found to have heroin concealed in her suitcase. Approximately 1350 grams of heroin was ultimately seized. The Calgary RCMP Federal Serious and Organized Crime Team conducted the subsequent criminal investigation and laid applicable charges. The quantity of heroin seized on this investigation represents approximately 13,500 individual doses. Salehe has been remanded in custody and will be appearing in Calgary Provincial Court on Dec. 7, 2018. Additionally, she was found to have heroin concealed in her suitcase. Approximately 1350 grams of heroin was ultimately seized. “Opiates, such as heroin and fentanyl have steadily become more popular in Canada where it is one of the most prevalent street drugs behind marihuana and cocaine. Opiates continue to be the most lethal drug as their use will often lead to an overdose resulting in death”.